The cost of going to a nursing home can make it impossible for many elderly people to receive the professional care they need. If the nursing home care is deemed necessary, one way to pay for this care may be through Medicaid. However, because there is a financial test for eligibility, many people may find they do not have access to Medicaid as a resource unless they spend down their assets. Many people do not wish to spend down their assets within a short time, and therefore attempt to meet the financial requirements by gifting their assets to their children or other family members. 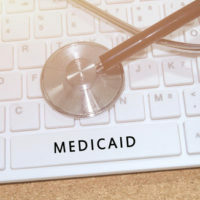 Unfortunately, giving away assets for less than fair market value is prohibited, and if the government finds out that a Medicaid applicant did this in order to meet eligibility, the applicant can be penalized by being denied benefits for a period of time. The government can look back for five years before the time of application to determine if there was an improper transfer. Fortunately, in some cases, a transfer of a family home to a child may be permissible. If parents transfer a home that was their primary residence to a child who was their caregiver before the parent went to a nursing home, this asset transfer will be allowed under the child caregiver exception. For this exception to apply, the child must have lived with the parents in the residence to be transferred, which must be the primary residence, and have provided care to the parents during the two year period before the home is transferred. The transfer is only allowed to biological or adoptive children. Sometimes whether the transfer qualifies for the exception rests on whether or not the child provided an adequate level of care. Generally, the level of care provided must have been of such a nature that it kept the parent from going into long term care in a nursing home. If the child lived with the parent, and only provided marginal assistance, such as picking up medication or driving the parent to the doctor once in awhile, this would not likely qualify as care under this exception. The reasoning behind this is that the transfer is considered compensation for that care. Proving qualification for this exception to the transfer rules requires a variety of evidence. The parent’s doctor can provide a letter describing the level of care that the parent needed in the two year period that is looked at, and attesting that the care was provided by the child. The parent and child can also provide financial documents to prove that the child lived exclusively with the parent. Because the penalty for violating the transfer of assets rules is so severe, it is important to ensure that any transfers you make during the look back Medicaid period are permissible. For more information on how to make a long term care plan without violating the Medicaid rules, contact an experienced estate planning attorney in The Villages, Florida by calling the Millhorn Elder Law Planning Group.